No problem, amigo! Many folks speak English or “Span-glish” which is a great mix of English and Spanish. Universal words like “please” and “thank you” are universal! It’s good to change dollars to pesos, especially with the great exchange rates! However, dollars are welcome. Small bills under $20 denominations are very handy. Lots of 1’s and 5’s are great for everyday purchases and tips. Larger places accept credit cards, but use cards that do not charge you a foreign exchange fee. You need a Passport. Don’t wait until the last minute. As a modern city, La Paz has pretty much all your favorite brands at the grocery store. Great restaurants too! For services, La Paz has some of the best medical and dental services in the state of Baja. When was the last time you left your house or car unlocked? That’s not to say there isn’t crime. Despite what you see in the media, La Paz is one of the safest cities in Mexico and no more dangerous than your own city and probably much safer. Tourism is growing at a record pace. Still, use common sense! Watch your valuables. Know your surroundings. Just like anywhere else you would visit! We think you’ll find La Paz is very “tourist friendly” not “touristy” and very “family friendly”. You’re a welcome guest. All the hotels we work with have Internet although the signal strength can vary. Usually pretty good for emails but not strong enough for video streaming. Cell phones work easily. Get an international plan from your carrier for just a short duration and it will save roaming charges in Mexico. Sure! Drink the water. Eat the vegetables. Bottled water is in abundance and all the major hotels and restaurants have drinkable water and ice. We certainly encourage C.P.R. (Catch-Photo-Release). But you’re welcome to take home all the fish you want within legal limits or have some cooked up at our Tailhunter Restaurant, your hotel or other eateries. If you want to bring some home, we include cleaning and filleting your catch. Bring 1 gallon zip lock bags. We can arrange freezing your fish too. We also offer commercial vacuum sealing, labeling, and dating your catch. To bring your fish home, bring a 40-quart ice chest or buy one from us. You’ll be bring home your frozen fish just like a piece of luggage and most airlines have a 50-pound weight limit on luggage. Bring back as many ice chests as you want depending on your catch! Also, ask about mounting your catch for a real lifetime memory! Yes! 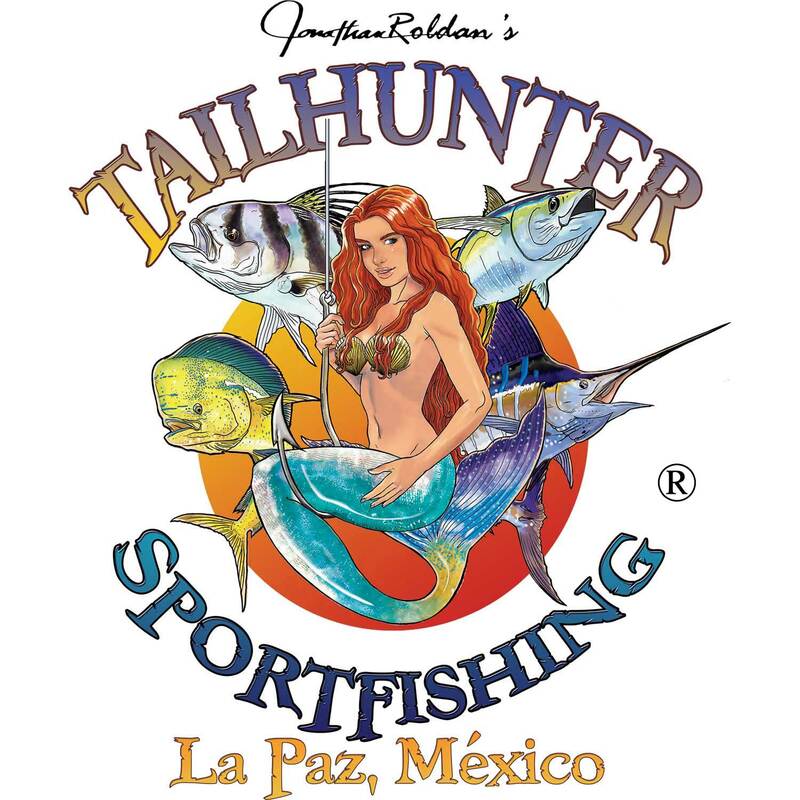 Tailhunter offers commercial vacuum sealing, labeling, dating and freezing your catch. Remember, La Paz is mostly a tropical place with a dry climate. Daytime temps range from the high 60’s in the winter to low 100’s occasionally in the summer. Dress accordingly. You can get-away with shorts, t-shirts and flip flops. Everything is casual. For the water, a light sweatshirt or windbreaker is handy, but otherwise pack light. Pack your passport, I.D. money, and medications in your carry-on luggage. Pack extra medications! Do not pack it in your check-in luggage in case your luggage gets lost or delayed. This is not complicated fishing. We’ll be happy to advise you on what to bring or we’ll get you fully-equipped with our gear! Highly recommended. It’s economical and easy to obtain. It helps guard against unseen circumstances like weather, delays, accidents, cancellations, sickness, etc. Getting refunds from airlines or vendors in Mexico are difficult to impossible. There’s no refund for acts of God, weather-related or natural incidents. Regretfully, weather (good or bad) is part of fishing.